"In a world where stressors will remain largely uncontrollable, the most suitable candidate for control remains the self." Mental health has loomed large in my life both personally and professionally for as long as I can remember. It touched my family, and later it became the focus of my social work discipline for the better part of a decade. This post is pretty academic—it's definitely geared towards mental health practitioners—but I'd say there's value here for anyone with a loved one with depression, or anyone feeling like the treatments they've received for depression aren't working. This post in a nutshell: your reality, for better or worse, is exactly what your perceive it to be. Change your perception, and you change your reality. Negativity and hopelessness are, to a large degree, choice interpretations of events and circumstances. You can choose differently. Mindfulness is a technique to help. A confession: drug therapy concerns me. I believe in life-saving medications, certainly, but not in perpetual dependence on substances that are not fully understood, even by their own manufacturers. In my years as a mental health professional, the most frightening thing I learned about psychotropic drugs was that the pharmaceutical industry understands that their new products work, but often don't know exactly how or why. That was enough to make me thoroughly investigate the non-chemical options: diet (which I'll save for another post) and therapy. Current studies have indicated that mindfulness meditation (MM) may be “a promising form of treatment for several physical and psychological conditions, including stress and mood symptoms in general, anxiety disorders, depression relapse prevention, chronic pain, fibromyalgia, binge eating, substance abuse, and skin related diseases” (Ramel, Goldin, Carmona & McQuaid, 2004, p. 434). With specific regard to clinical depression, mindfulness represents a valuable long-term maintenance and relapse prevention strategy not offered by other forms of conventional psychotherapy (like standard Cognitive Behavioural Therapy [CBT]) or currently available pharmaceuticals (like citalopram [Celexa], fluoxetine [Prozac], paroxetine [Paxil], and sertraline [Zoloft]). It is a reality of our time that the same companies promoting antidepressants in the media are also largely responsible for underwriting their research. Promotional spending in the form of direct-to-consumer advertising increased from $266 million in 1994 to $2.6 billion in 2002 (Donohue & Berndt, 2004), making the research and marketing of pharmaceuticals one of the most significant and salient initiatives competing for consumer attention today. Scepticism about this model of business has led to pharmacoeconomic studies of antidepressants, which demonstrate a clear association between study sponsorship and quantitative outcome (Baker, Johnsrud, Crismon, Rosenheck & Woods, 2003). Clearly, antidepressants are not a miracle cure, though it is equally clear that increased consumer demand paired with questionable efficacy will leave large numbers asking for and receiving treatment which may be of little use, and may be damaging. The skewed pharmaceutical studies examined by Baker et al. (2003) consistently favoured the latest products of the respective companies over older drugs, making the public most likely to ask for (and receive) products for which the least amount of longitudinal data is available. Beyond the potential physical health risks from side-effects, there exists the emotional let-down experienced by individuals who have tried yet-another treatment that has failed. Additionally, it is important to recall the intended short-term use of these products. Even for those who experience improved mood and affect (regardless of whether this is due to actual or placebo effects), the benefit is ultimately time-limited. Therapists must necessarily be prepared to provide a competitive option to those who medication has and has not helped—one that although not as convenient as a pill, is relatively simple to integrate into our clients' everyday lives. It should be conceptually simple, but deeply rooted in relevance and truth. It should be easy to learn, and possible to eventually master. It should be a system where the client is fully integrated into the process, in the determination of how and why things in their lives are as they are, and how to effect change in those areas. Most importantly, it should elevate the client to the role of expert, while reducing the social worker to the role of guide, and ultimately, it should be a system that is portable—one that the client can take with them beyond therapy and back into everyday life. The “Third Wave” of behavioral and cognitive therapies described by Hayes (2004) and others promises such a system. Integral to these Third Wave therapies is the practice of mindfulness, a process which has special applicability in the treatment of depression. In relating to others based on a negative self-view or world-view, mood and mannerisms are likely to elicit reactions from others which conform to the actor's expectations. In acknowledging the degree to which perception shapes our view of reality, and how our corresponding behaviour may function to maintain that reality, it is not difficult to understand the role this cycle may potentially play in the development of certain personality disorders and other mental illnesses. According to Gunaratana (1992), mental conditions such as anxiety and depression are not merely states of existence, but procedures arrived at in series, like links in a chain. As such, they lend themselves to analysis, treatment, and prevention through Third Wave interventions, like Mindfulness-Based Cognitive Therapy (MBCT), an approach specifically developed for the treatment of recurrent depression (Teasdale et al., 2000; Fennell, 2004). However, mindfulness as a therapeutic tool can be adapted into any treatment regimen, including Cognitive Behavioural Therapy (CBT), which is effective in treating acute depression. For those familiar with CBT, mindfulness may be initially conceived of as an extension of the reframing technique, where an individual's static view of reality is challenged by the therapist, and altered in terms of how the same elements would appear through an alternate perspective. However, the practice is better conceptualised as a deframing technique, where it is understood that no real, inherent meanings exist apart from our own individual (and arbitrary) attribution, and that it is necessary to stop assigning powerful meanings to neutral events (i.e., thoughts). In the process of separating thought from reality, mindfulness does not involve the suppression of negative emotions. In fact, attempting to suppress negative thoughts merely substitutes one style of dysfunctional behaviour for another – from unchecked reaction and rumination to excessive, internal meta-cognitive scanning, that constantly searches for examples of negative emotions (Gardner & Moore, 2004). However, in actively searching ongoing behaviour for negativity, one brings to awareness the very emotions that one is concurrently trying to suppress, which has the potential of increasing the frequency of the same thoughts for which suppression is desired (Gardner & Moore, 2004). To experience thoughts and feelings without dwelling on their content. To develop an awareness that we have automatic reactions to these stimuli, and to recognize what those reactions are. In reading quotations such as this, and in further knowing that the practice of mindfulness in therapy (by pioneers like Jon Kabat-Zinn and others) has its roots in Buddhism, there is likely to be a wide variation of reactions among social workers. Some may feel an instant connection with these ideas as an implicitly understood truth—one which is only solidified by the research findings that have supported its increasing use. Others may feel distinctly uncomfortable at the notion of embracing concepts and practices which seem to stray far from allopathic treatment, and into the domain of philosophy and spirituality, despite the research findings. This in of itself may be a personal demonstration of our own automatic reactions to the unexpected or the unknown. Whether by our socialization within a society where the medical model has been the dominant paradigm, or by a personal need to remain closely aligned with highly scientific feeling interventions in order to minimize the “legitimacy gap” that many social workers perceive between themselves and other practitioners of the “hard sciences”, it is important to remember that skepticism is a natural and human response. Mindfulness itself encourages the acknowledgment of this, while encouraging the removal of any associated guilt or blame. The challenge, as social workers (or therapists, or a person with depression), is the utilization of a technique that seems as far removed from conventional treatment as any we may have experienced before. As will be discussed later, meditation can integrate well into more typical forms of cognitive behavioural therapy. However, integrating this new approach into work with the clinically depressed obviously necessitates a level of comfort and experience on our part. Clients are likely to react with a similar variety of responses, and we must be prepared to address their concerns or ambivalence with knowledge from our own use of mindfulness and meditation. As such, it is necessary that any who would be a teacher of others should also be a user in their everyday life (Kabat-Zinn, 2003). Choose a quiet and comfortable area, preferably one that can be designated for this specific purpose on an ongoing basis. Select a specific period of time (e.g. 15 minutes) and set a an egg timer out of your view, so you will hear the signal to end without being able to focus on the clock. Sit on the floor, assuming an erect posture. If it is necessary to sit in a chair, ensure that your legs remain still and your feet remain flat on the floor. Look at the floor, a few inches in front of you. Do your best to clear your mind of all thoughts about the past and the future, and instead stay focused on the present. Concentrate on your breathing. Focus on the sensation and regularity of the breaths as they enter and exit your body. Feel how the air moves through your chest, nostrils and mouth. When thoughts cross your mind, do not attempt to suppress them. Do not evaluate the thoughts or yourself. Note them, and continue to relax and breathe regularly. If the thoughts become excessive in number or intensity, note which thoughts caused the diversion and attempt to return focus to your breathing, and the present moment. Do not dwell on the thoughts or blame yourself. Duration of meditation can vary widely. MBCT incorporates weekly half-day meditation sessions, and daily homework assignments of 45 minute guided meditation to audiotape, or daily 30 minute silent meditation without audiotape (Ramel, Goldin, Carmona & McQuaid, 2004). A fifteen minute session like that described above, conducted silently, may be more practically accomplished during a therapy session, with the option of longer assignments for homework. From a therapist perspective, the discomfort of this exercise comes from the lack of firm directives. While more conventional therapy might have us direct a client to reflect on specific elements that we consider to be central to their depression, meditation asks that we prompt them to clear their mind. As an invitation to an experiential exercise, we are less sure of the response we will receive from the client after the time has concluded. It should be noted however that asking someone to clear their mind (or asking it of ourselves) is simple to request but nearly impossible to sustain over a period of several minutes. The important part of meditation within a therapeutic setting is in the client relating what thoughts intruded upon their internal process, and how these are unreal, disruptive, and possible to neutralize. In being primarily non-directive, client feedback after meditation is illustrative of what thoughts cause them the most distraction. Repetition of this exercise is useful both as practice in attaining a calm, non-reactive, non-judgemental state in relation to stressors, as well as identifying which stressors are subsiding and which remain especially troublesome to the client (and are thus a focus for continued CBT). Those familiar with CBT may be confused as to how mindfulness (and specifically Mindfulness-Based Cognitive Therapy, or MBCT) differs, and how they are the same. As the name implies, MBCT is actually a combination of CBT and Jon Kabat-Zinn's Mindfulness-Based Stress Reduction (MBSR). Beyond the inclusion of MM, MBCT differs from CBT in that it was specifically designed to be delivered to clients with recurring episodes of major depression, whereas CBT is focused on acute sufferers (Ma & Teasdale, 2004). The inclusion (for MBCT) or exclusion (for CBT) of MM also distinguishes each approachs' emphasis on internal messages. Mindfulness entails the recognition that our perception is inherently flawed, and that the meaning that we attribute to objects and events is also flawed, but that our reactions to these mental constructs creates real anguish. Consequently, the end product of MM is the eventual reduction automatic reactions, replaced by a non-judgemental, non-reactive awareness. Traditional CBT readily seeks to replace errant perceptions with alternatives that the therapist deems to be more realistic. One approach lets go of the automatic reactions we have to what we (falsely) perceive as reality; the other attempts to change our perception of reality (Ma & Teasdale, 2004). Each approach has been determined to be effective with its targeted client base, the conclusion being that there are fundamental differences between people who suffer acute depression, and those who suffer multiple episodes over time (Teasdale et al., 2000; Ma & Teasdale, 2004; Fennell, 2004). In fact, early studies observed that MBCT seemed only effective with clients who had experienced three or more previous episodes of major depression (Teasdale et al., 2000). Later replications determined that there were significant base population differences between those who had experienced 3 or more recurrences versus those who had experienced only two. In analyzing the data from the initial study as well as the replication, it was determined that the latter group (2 episodes of MDD) had experienced their initial onset later in life, and had similar childhood experiences as the never-depressed control group (Ma & Teasdale, 2004). Still, it is important to keep in mind that no approach need be as inflexible and static as it appears. MBCT was actually intended to be delivered to non-depressed groups of clients over an 8 week period as a preventative measure towards future episodes, with the design primarily as a means of cost-effectiveness (Ma & Teasdale, 2004; Ramel, Goldin, Carmona & McQuaid, 2004), but there is no reason why its techniques cannot be combined with others, or be adapted for individual use. Similarly, CBT for depression (which is intended for actively depressed clients) can include aspects of mindfulness even if MM is never included. For example, rather than attempting to replace one kind of perception with another, CBT could instead focus on the psychological harm of the reaction itself without necessarily trying to substitute another alternate perception. For thinking that is inherently flawed, an intervention based on analysis and replacement has the potential of being infinite, with each new flawed perception requiring assistance in seeing it differently. Additionally, in those cases where the perception largely agrees with fact (as the therapist perceives it), it is still the client's reaction that remains problematic. In a world where stressors will remain largely uncontrollable, the most suitable candidate for control remains the self. For those who feel helpless and exercise a need to feel in complete control of people and objects in their lives, providing a technique that allows for real control (of self) rather than illusionary, dysfunctional control (of external elements) can be very effective. In diverting focus onto present moment awareness and reaction and away from a definition of reality, there exists a great potential for a high tolerance for a great variety of stressors, and an increased presence of mind to use learned coping skills (Roemer & Orsillo, 2003). Most (if not all) of the current intervention techniques are combinations or adaptations of other techniques, specialized for specific applications. As a social worker it is valuable to have a working familiarity with the common elements of CBT, MBCT, and mindfulness, and adapt them in a way that meets your needs, and that of your client population. Indeed there are already recommendations within the literature to formally integrate these various approaches more closely (Roemer & Orsillo, 2002; Fennell, 2004; Cayoun, 2004). Within a new therapeutic partnership, where rapport is not fully established and depression may be impairing the client's communicativeness, it can be problematic to distinguish between temporary negative thinking which is tied to mood; and more firmly held beliefs independent of mood, where the client strongly identifies with negative self-cognition (Fennell, 2004). The former client, whose current functioning represents a departure from their “normal self” may respond well to conventional CBT for depression, whereas the latter one, whose feeling of worthlessness is intrinsic to their definition of “normal self”, is unlikely to. While having some understanding of a client's early childhood experiences and their age of initial onset of MDD seems to be important in determining whether they will respond to CBT, MBCT, or some longer-term variation of one or the other, it is also important to look for response clues in guiding ongoing treatment. Clients without enduring self-esteem problems will respond well to CBT's emphasis on changing the content of thoughts with those that re-affirm their pre-depression definition of self (Teasdale et al., 2000). They are also more likely to engage more readily in exercises within treatment, complete take-home assignments given by the therapist, and demonstrate swift gains in Beck Depression Inventory (BDI) scores (Fennell, 2004). Conversely, clients whose low self-esteem is deeply entrenched are unlikely to respond to alternate ways of defining themselves, will be less engaged in therapeutic activities, and are unlikely to complete any exercises unless they take place in the presence of and with the encouragement of the social worker. Naturally, between these two extreme types of “I feel worthless” and “I am worthless”, there exists a continuum of variation along which the length of time for successful engagement and eventual improvement varies correspondingly (Fennell, 2004). For any progress to be possible with clients whose core concept is resistant to change, it is necessary to first work on achieving some admission from the client that change is even possible. To that end, it is important to understand that any integration of MM might well be delayed until treatment with more practical, conventional exercises is well underway. While the unstructured nature of MM may be useful in generating themes for discussion, its departure from the norm is sufficiently daunting that it may be a poor choice for trying to work with a client whose engagement is tenuous, and whose inner-perception of competency puts an exercise like this out of their reasonable grasp. Treatment rationale – A beginning exercise, and one which is useful in securing an initial willingness to embrace the possibility of change, is to engage the client in a discussion of what CBT is, and how changing thoughts has a positive impact on health (Fennell, 2004). While it may not be necessary to include a full-fledged discussion of mindfulness, as a therapist you can remain aware at this point that your implementation of CBT can vary it its utilization of the technique. If the client does not respond to the short-term cognitive reframing of errant perception, as is practised in traditional CBT, a continuum of less directiveness and more extended exploration of perception and truth (with or without MM) remains an option over the course of treatment. It is important to note that by including the client in the understanding of the tools and rationale, the power of the social worker as expert is diminished. This can also serve as an important step in rapport building. Questionnaires – These offer a number of benefits, from assessing initial and subsequent functioning to serving as methodical tools for client self-exploration of feelings and experiences (Fennell, 2004). Instruments such as the BDI, MDI, and the HAM-D provide a monitoring tool and an additional source of feedback for the therapist. Walach, Buchheld, Buttenmuller, Kleinknecht & Schmidt (2006) demonstrated that the Freiburg Mindfulness Inventory (FMI) was “a useful, valid and reliable questionnaire for measuring mindfulness” (p. 1551). It is available in two formats – a 30 question version suitable for researchers, and a 14 question variant suitable for general use, but which correlates almost perfectly with the full version. The latter derivative is included as an appendix in their 2006 journal article. Clients (and social work therapists) may find it especially accessible in that it contains no hint of Buddhist practices or meditative techniques, but identifies the significant related mental processes. Formulation – This intervention examines the aetiology of personal problems, as well as the mechanisms that maintain them (Fennell, 2004). By tracing the experiences that have led the client to their current mode of thinking or feeling, each of the steps can be examined and understood. Additionally, in demonstrating that paths to depression exist, the possibility of a path back to wellness is also suggested. To appeal to visual learners, or as a general practice, these paths and connections can be made especially poignant by depicting them visually by way of flowcharts or ecomaps. Doing so creates a permanent record of a journey, which can be referred to and changed as needed in future sessions as additional understanding comes to light. It is also extremely valuable as a take-home material for clients (Fennell, 2004). It serves as a tangible reminder of the therapy session, than can be utilized by the client at home for reflection. By extension, it is an example of the progress in understanding that is occurring with the assistance of therapy, which may help to sustain or increase involvement. Lastly, it is another example of inclusion, where the process and product of work is being freely shared with the client, rather than remaining bound in a closed file. Written Materials – In addition to the formulation chart, copies of other in-session activities, summaries, coping tools, informational pamphlets, contracts or action plans can be copied and given to the client to provide the opportunity for reflection outside of the session (Fennell, 2004). Stimulus: A dog is barking in the distance. There's that stupid dog again. He's always barking – what a nuisance. They don't care that it's disturbing us. I'm going to file a noise complaint. I'm going to write a nasty letter to the owner. I'm going to call the dog catcher. Her owner has returned home. She is happy / excited. She's protecting the yard from strangers. She's playing with the children. She's trying signal her owner about something. I miss our old dog. I wish we could get a dog of our own. A barking dog is a neutral stimulus, but one which for some has a very strong and immediate negative reaction. These automatic negative responses: assumptions, assignment of blame, and spontaneous anger all create steps toward a course of action which may be completely unjustified by the actual facts. By comparison, the alternative positive reactions may be equally unfounded or irrelevant – they merely represent different perception, but ones unlikely to result in the same anguish as the negative ones. Using examples like that above are useful in highlighting our perceptual biases, and how these may have been shaped by formulation. Processing Bias – Our internal processes which validate or ignore incoming information in terms of its agreement with existing self-schemas is instrumental in maintaining negative self-image, particularly for those with low self-esteem (Padesky, in Fennell, 2004). In the same way that we assign arbitrary meaning to neutral mental events (thoughts), we also have an active consciousness that polarizes incoming data, acknowledging those bits that conform to our beliefs, and ignoring or rejecting those which do not. Padesky (in Fennell, 2004) suggests that it is beneficial to examine this process in other people whom we know to have biases, and then observe how we do the same with our own. Active Awareness of Cognition – Creating an atmosphere where metacognitive awareness is fostered by actively identifying cognitive distortions as they occur, can lead to a general improvement in client awareness of their patterns of thought and expression (Fennell, 2004). As the working relationship proceeds and the client becomes more adept at addressing these distortions in-session, it might be advisable to encourage the client to identify and correct some of their own negative messages as they occur, so the screening process does not remain permanently one-sided. This might be facilitated by a gradual diminishing in role by the social worker, from asking specific probing questions about negative self-messages, to adopting a quizzical look to indicate that they have heard something (thereby signalling the client to stop and analyse), to giving no initial response, but waiting for a brief period to return to the distorted perception should the client not acknowledge it. Inventory of Recurrent Patterns – The Dysfunctional Thoughts Record, originally developed by Beck is another useful tool that can be sent home with clients in order for them to develop increased awareness of negative thinking. A similar tool is provided below as an example. It asks clients to identify emotions and their subjective severity, identify the factors that triggered the response, and describe the thoughts or reactive behaviours that resulted (subjectively rating their impression of the truthfulness of their own statements). What thoughts or events triggered the response? What exactly were your thoughts? What did you do, if anything? The dog down the street barked for half an hour. I didn't do anything about it, but I wanted to go down the street and yell at the owners for being so insensitive. Like Active Awareness of Cognition, this intervention encourages the client to be involved in their own treatment, but like any sort of homework, it may not be completed by clients who are extremely depressed or suffer from low self-esteem. Enhancing Positive Self – Beyond the process of reducing unrealistic and unfounded assumptions that interfere with functioning, CBT is also concerned about the re-establishment of daily routines and other anchoring activities that provide structure and normality (Fennell, 2004). Keeping a diary of events, and the thoughts, feelings, and behaviours that reintegration elicits can serve as a valuable tool for reflection, independently as well as in-session. 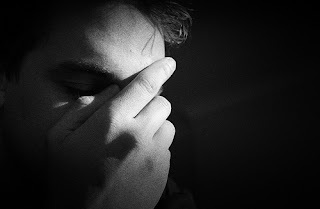 Preventing Relapse – Low self-esteem and depression carry with them the likelihood of recurrence. To that end, MCBT includes the development of relapse signatures and action plans to anticipate and cope with regression if and when it occurs (Fennell, 2004). Additionally, it advises continued practice of MM as a preventative measure after treatment, and as an early response to signs of relapse, offering the potential to avert a return to depression (Ramel, Goldin, Carmona & McQuaid, 2004). This integration of mindfulness is important as it has been determined that MBCT lowers relapse rates by more than half when compared to conventional treatment as usual (Ma & Teasdale, 2004). Additionally, prevention offers the best hope for sufferers of MDD, because with each recurrence of the condition, resistance is weakened, and less intense external stressors are able to induce future relapses (Ma & Teasdale, 2004). Though not well known, particularly within the realm of social work, mindfulness and mindfulness-based treatments offer a new and demonstratively effective intervention for understanding and treating depression. In focusing on present-moment awareness, thoughts as mental events, and a non-judgemental, non-reactive model of perception, mindfulness successfully circumvents many of the mechanisms that promote and maintain depressogenic thought. As a complimentary treatment to widely used conventional CBT, mindfulness offers a layer of protection that has been shown to reduce relapse (as demonstrated by MBCT), deliverable by one person without need for expensive written materials or tools. It also represents an empowering, portable life skill which the client can take with them beyond therapy, and which shows the potential of sustaining mood much more convincingly than the pharmaceutical alternatives. As a final benefit, the necessity for instructors of mindfulness to also be daily practitioners, carries with it a component of built-in self care, potentially contributing to both the quality of care that we provide, as well as the number of years we are able to provide it. Antonuccio, D. O., Burns, D. D., & Danton, W. G. (2002). Antidepressants: A triumph of marketing over science? Prevention & Treatment, 5. Bech, P., Cialdella, P., Haugh, M. C., Hours, A., Boissel, J. P., Birkett, M. A., & Tollefson, G. D. (2000). Meta-analysis of randomized controlled trials of fluoxetine v. placebo and tricyclic antidepressants in the short-term treatment of major depression. British Journal of Psychiatry, 176, 421-428. Baker, C. B., Johnsrud, M. T., Crismon, M. L., Rosenheck, R. A., & Woods, S. W. (2003). Quantitative analysis of sponsorship bias in economic studies of antidepressants. British Journal of Psychiatry, 183, 498-506. Cayoun, B. A. “Advances in Mindfulness Training Integration: Towards a Non-Dualistic Cognitive- Behaviour Therapy.” Biennial Conference of the Australian Psychological Society’s Buddhism and Psychology Interest Group [Conference]. Deakin University, Melbourne, Australia. 2004. Donohue, J. M. & Berndt, E. R. (2004). Effects of direct-to-consumer advertising on medication choice: The case of antidepressants. Journal of Public Policy & Marketing, 23(2), 115-127. Fennell, M. (2004). Depression, low self-esteem and mindfulness. Behaviour Research and Therapy, 42(9), 1053-67. Gardner, F., & Moore, Z. (2004). A Mindfulness-Acceptance-Commitment-Based approach to athletic performance enhancement: Theoretical considerations. Behavior Therapy, 35(4), 707-23. Garland, E. J. (2004). Facing the evidence: Antidepressant treatment in children and adolescents. Canadian Medical Association Journal, 170(4), 489-491. Gunaratana, H. (1992). Mindfulness in Plain English. Somerville: Wisdom Publications. Huss, D. B. & Baer, R. A. (2007). Acceptance and change: The integration of mindfulness-based cognitive therapy into ongoing dialectical behavior therapy in a case of borderline personality disorder with depression. Clinical Case Studies, 6, 17-33. Kabat-Zinn, J. (1993). Mindfulness meditation: Health benefits of an ancient Buddhist practice. In D. Goleman & J. Gurin (Eds. ), Mind/Body Medicine (pp. 259–275). Yonkers, NY: Consumer Reports Books. Kirsch, I.; Moore, T. J.; Scoboria, A. & Nicholls, S. S. (2002). The emperor's new drugs: An analysis of antidepressant medication data submitted to the U.S. Food and Drug Administration. Prevention & Treatment, 5(1). Lau, M. A. & McMain, S. F. (2005). Integrating mindfulness meditation with cognitive and behavioural therapies: The challenge of combining acceptance- and change-based strategies. Canadian Journal of Psychiatry, 50(13), 863-869. Ma, S., & Teasdale, J. (2004). Mindfulness-Based Cognitive Therapy for depression: Replication and exploration of differential relapse prevention effects. Journal of Consulting and Clinical Psychology, 72(1), 31-40. Miller, J. J., Fletcher, K., & Kabat-Zinn, J. (1999). Three-year follow-up and clinical implications of a mindfulness meditation-based stress reduction intervention in the treatment of anxiety disorders. General Hospital Psychiatry, 17(3), 192-200. Moncrieff, J. (2001). Are antidepressants overrated? A review of methodological problems in antidepressant trials. Journal of Nervous & Mental Disease, 189(5), 288-295. Moncrieff, J. (2002). The antidepressant debate. British Journal of Psychiatry, 180. Ramel, W., Goldin, P. R., Carmona, P. E., & McQuaid, J. R. (2004). The effects of mindfulness meditation on cognitive processes and affect in patients with past depression, Cognitive Therapy and Research, 28(4), 433-455. Roemer, L., & Orsillo, S. M. (2002). Expanding our conceptualization of and treatment for generalized anxiety disorder: integrating mindfulness/acceptance-based approaches with existing cognitive-behavioural models. Clinical Psychology: Science and Practice, 9, 54-68. Roemer, L. & Orsillo, S. M. (2003). Mindfulness: A promising intervention strategy in need of further study. Clinical Psychology: Science and Practice, 10(2), 172-178. Singh, N. N., Wahler, R. G., Winton, A. S. W. & Adkins, A. D. (2004). A mindfulness-based treatment of obsessive-compulsive disorder. Clinical Case Studies, 3, 275-287. Teasdale, J., Segal, Z., Williams, J., Ridgeway, V., Soulsby, J. & Lau, M. (2000). Prevention of relapse/recurrence in major depression by mindfulness-based cognitive therapy. Journal of Consulting and Clinical Psychology, 68(4), 615-23. Thase, M. E., Entsuah, A. R., & Rudolph, R. L. (2001). Remission rates during treatment with venlafaxine or selective serotonin reuptake inhibitors. British Journal of Psychiatry, 178, 234- 241. Walach, H., Buchheld, N., Buttenmuller, V., Kleinknecht, N. & Schmidt, S. (2006). Measuring mindfulness—the Freiburg Mindfulness Inventory (FMI). Personality and Individual Differences, 40, 1543–1555. Oh the things you learn about your friends on the Internet! This is a great post that I plan on keeping around and re-reading. Especially when I'm looking for something to help me feel better in the darker times.